Learn Everything You Need To Know To Start Creating Your OWN Original Art! The Beginner’s Colored Pencil Course! Quickly learn to create realistic colored pencil pieces in only 10 weeks! 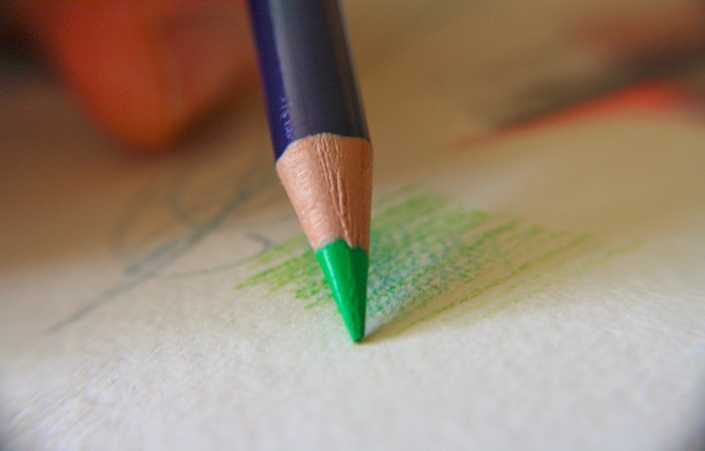 The ultimate interactive course for colored pencil instruction. Beginner's course? Yes, because I start at the very beginning. But we move quickly through key concepts all the way to creating your own art from concept to completed piece. The online instruction modules lead you step-by-step through a variety of skills all centered on you learning to create your own art. The video production is of the highest quality and the printable, PDF ebooks accompanying the lessons are complete with assignments included. This course is NOT your run of the mill, "follow along" drawing tutorial like you'll find on many popular sites. Instead, you're going to learn how to think and make decisions like an artist. By the time you finish the Beginner's Colored Pencil Course, you’ll be equipped to understand key terms and how they apply to this medium, choose your color palette, and achieve balance in your own unique drawings. Why not just give you step-by-step instructions to draw various subjects? I'm glad you asked! I believe that establishing a foundational skill set will allow you to create your own work rather than imitating someone else's --the mark of a true artist. If you are able to make independent decisions as an artist, then you are equipped to earn commissions, enter contests, host a solo or joint show, sell prints of your original work, and the list can go on and on. Sounds pretty great, right? Now, I know that the Beginner's Colored Pencil Course is not for everyone. But if you are ready to learn the skills needed to apply to any subject you choose, then this course is for you. If you are ready to train your eye to capture relevant details, then this course is for you. If you are ready to move forward in your progress and confidence as a colored pencil artist, then this course is for you. "If you want to do original art and would enjoy learning how, this is the course for you. This course teaches what and how to do your own drawing instead of just someone else's techniques/picture. It teaches how an artist (yes you) should approach the drawing you want to do by using easy to understand building blocks helping you to achieve this goal." "I have been listening to the Sharpened Artist Podcast from the beginning, so I was really excited when John announced the beginning of his academy! I have worked in colored pencil for years without formal training, but I thought that going back to the basics might help fill in some gaps in my knowledge. The Beginner’s Colored Pencil Course has turned out to be more than a refresher, but a source of new information as well. By going back to the basics of colored pencil, I’ve been able to correct many issues with my drawing. For example, I thought that I was using a light hand when drawing or coloring, but the step by step lessons showed me it wasn't light at all. I was actually using too much pressure and I couldn't get as many layers for the depth I wanted. I also discovered in a different lesson that my pencil grip has been partially to blame for the times I was indenting the paper and losing tooth. All of the information is explained in a manner that is easy to understand, and I love that I am able to reinforce the teaching by doing the lessons as many times as I want. The individual help from John is wonderful, too. I sent him a picture I was working on, and he sent me a video back with detailed pointers in how to improve it. I have asked for help from others but never have I received a personal video just for me! When I started in colored pencil many years ago, instruction like this didn’t exist. John is one of the artists who has made a difference for those of us who love CP! I have seen other courses, even taken some, but none of them measures up to this quality. His personal, hands-on approach is so refreshing--you feel like you are really in a class, not on the Internet. I recommend this course to anyone who is wanting to learn colored pencil, or who just wants to improve their work like me!" The course starts now and never ends! It is a completely self-paced online course - you decide when you start and when you finish. As long as you stay enrolled you have access! How does lifetime access sound? After enrolling, you have unlimited access to this course for as long as you like - across any and all devices you own. If you purchase the month-to-month plan then you lock in the low rate for as long as you keep your subscription. "I really enjoy The Beginner’s Colored Pencil Course as John has such a soothing voice and relaxed manner of teaching. The course is far from the run-of-the-mill video and stresses independent thinking rather than blind following. The videos are professionally presented, along with written material, in clear and logical order. The aim is to establish a skill set and a proper foundation and these classes do exactly that. Materials and reference photos are clearly listed and exercises are helpful and without stress. I recommend this course not only to beginners, but to seasoned painters as the information given is a solid refresher."